Those serving in certified Lay Ministry may do so as a Certified Lay Servant, Certified Lay Speaker, or Certified Lay Minister. For more information on Lay Servant Ministries and becoming a certified Lay Servant, certified Lay Speaker, or certified Lay Minister please visit the Lay Servant Ministries website or contact the District Office. 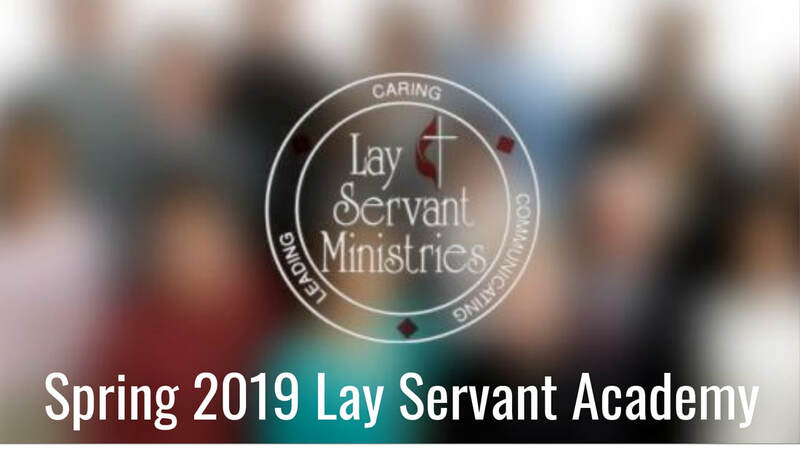 The Spring 2019 Lay Servant Academy will take place Saturday, March 30, 2019 from 8:00 AM to 5:00 PM (lunch provided). The cost of the event is $20. ​All are invited to take any of the courses offered, but only those who have completed the Basic Lay Servant Course are eligible to receive credit toward certification for their participation in an advanced course. If you have any further questions don't hesitate to contact the District Office, 304-366-6811, or Mary Bane, chair of the District Committee on Lay Servant Ministries.